The Zambia Direct Democracy Movement (ZDDM) a political party registered in the Republic of Zambia under the Registrar of Societies Act wish to notify you that we plan to hold a sitting in demonstrations outside parliament this week for the simple purpose and hope that somebody in authority can explain to us the following. a) Why a people accused of looting, plunder of public funds and actual crimes like forging document are being allowed to control key positions in our government and to champion agendas such as the lifting of the former presidents’ immunity. b) Somebody must explain what justice Zambians expect from a system where the DPP is facing many serious criminal charges. c) Do we want a repeat of the injustice suffered by the late former President FTJ Chiluba at the hands of the same people? It may interest you to know that ZDDM has in the past few months done everything possible to ask President Michael Sata to initiate an inter-party dialogue meeting at which all these issues of concern in the nation could have been discussed and put to rest. We have however been greatly disappointed that the President and Patriotic Front seem to have no desire to meet us as fellow leaders. Instead of responding to our concerns Zambia has witnessed a new culture of arresting opposition leaders and wholesale propaganda using our compromised media. We realize that we are risking our lives and freedom by this step we are taking but we believe the interest of our nation and people is bigger hence our determination to save Zambia from a cartel using fake agendas to divert attention from the criminal charges which they have to face. 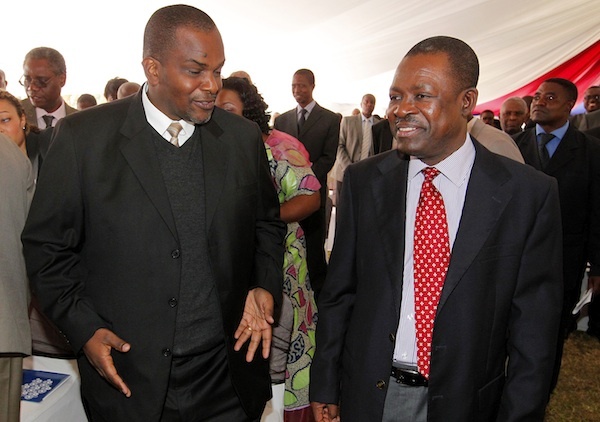 Unlike former President Rupiah Banda who enjoys immunity, we find no reason why President Sata allows the cartel to try and repeat the injustice former President Fredrick Chiluba suffered at the hands of these same people. By copy of this letter we are also informing the Zambia police of our plan as we find it very wrong that a cartel of individuals who are alleged to have stolen from the Zambian people to continue fanning and championing hate agendas. President Sata must have his DPP cleared of all criminal allegations against him before trying to use his position to lift the immunity of Rupiah Banda. We make this demand because as already mentioned Zambia can’t afford a repeat of what they did to President Chiluba. The cartel used its tabloid to demonize and hold a media trial as it has already started on Rupiah Banda. According to the Auditor-Generals report more than one trillion kwacha was abused in the process of demonizing Dr Chiluba and we believe that Zambia cannot afford to be looted again in the pretense of lifting immunity and trial of President Rupiah Banda. Lastly we want to make it very clear that ZDDM supports the anti-corruption fight but our concern is that we know that the current DPP is not the right person to remove a speck in other people’s eyes because he has a log in his eyes which only President Sata for his own reasons chooses not to see. We don’t want to see another mockery of justice of former President Rupiah as media trial has already started in the media.